New partnership between the Phi Centre and the National Arts Centre’s NAC Presents series to promote emerging Canadian musicians takes shape with three inaugural shows in Montreal: Allie X (September 2), Common Deer (September 15) and Cold Specks (December 1). When asked about the music’s relevance in today’s political climate, “The apocalypse is real and self-care is important,” declared the musical artist Cold Specks, speaking on the phone from the Toronto suburbs, as she waited for her mother to arrive with coffee. Her third album will be released September 22 on the Toronto-based label Arts & Crafts, and will see Hussein (who used to go by the name Al Spx) heading out on tour. The ten-song record follows Neuroplasticity (2014) and I Predict a Graceful Expulsion (2012), which were nominated for the Polaris Music Prize. I attempt to bring beauty from ashes. While she herself was born and raised in Canada, Fool’s Paradise is heavily inspired by Hussein’s Somali background and exploration of the musical heritage of her homeland and that of her family. “It influences the music immensely," she says about the war-affected country her parents left. “During the recording process I watched an incredible number of VHS recordings of performances and also, I guess what you would call music videos from the '70s, which was a very rich, beautiful time. It was the golden age of music in Somalia. I watched and analyzed those tapes immensely and I think those sounds seep through the songs, lyrically, thematically, sonically,” she says. As Cold Specks prepares to take her latest creation on the road, her upcoming live shows will introduce some new elements; electronic drums, and a stripped-down, three-piece band. “I used to have quite a large band and a pretty intense, textured set-up,” she said. “After touring for a number of years, I kind of lost my voice, because it was so loud I was forced to oversing. So I stripped it down, but it's still really powerful, and you can still feel it, but we have electronic drums now—which is a big change. Getting rid of the drum kit, I think, saved my voice. It's just a three-piece now, one of the members plays keys and bass at the same time, which is pretty interesting, and we have another member who covers all the drums and electronics and guitar.” She’s also “looking at digging into these VHS recordings from the ‘70s, and having them play while we perform”. 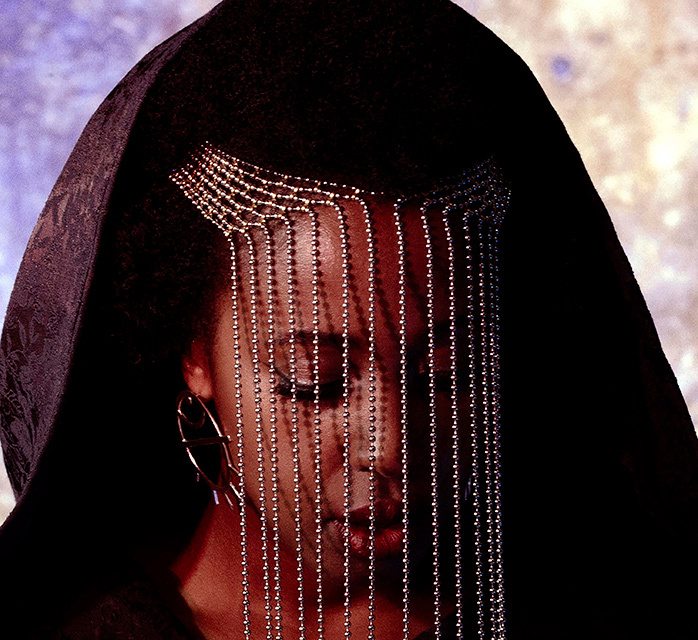 Cold Specks will be back in Montreal on December 1 to present her new album, Fool's Paradise.